The 2 pictures below are of my orange sable home bred Pixiepompom Little Faye. Picture below is of Cassie and Little Faye. Wilthom bundle of joy for pixiepompom(Freddy). Charlie & Milky,2 of my beautifull pom pups. Minty is one of Freddys babies,his mum is my Pixie. Truffles,Snowman and Toto,all bred by me and now living with a lovely couple in Hertfordshire. 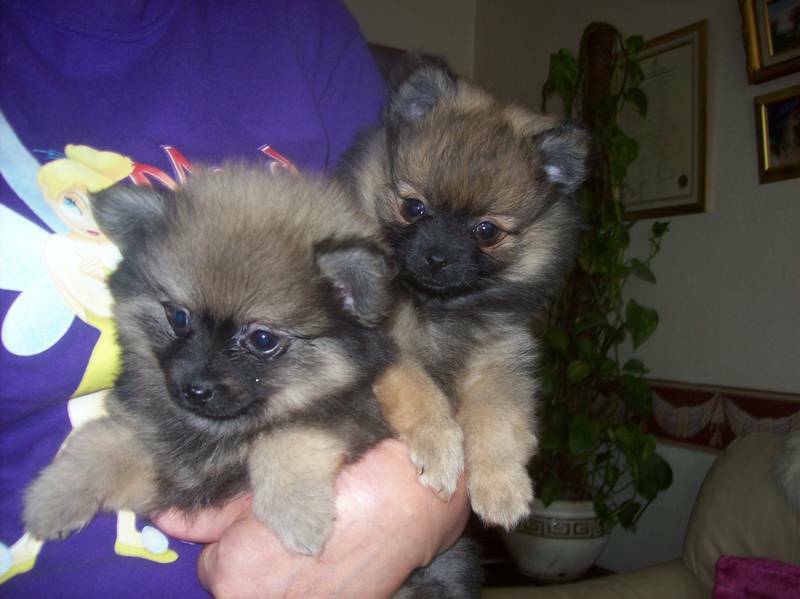 Below are 2 of my home bred kennel club registered male pomeranian pups.